HomeWood Designer ForumPolyboardOne or two models? 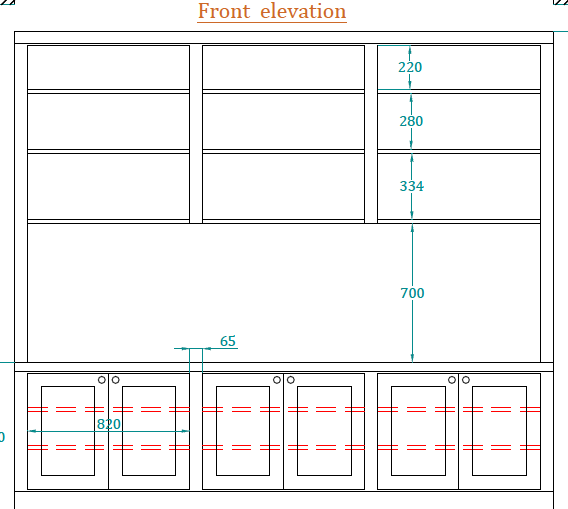 You are probably right and I would certainly make the sides in 19 or 22mm MDF and add a front wide panel as a fascia. Is the unit meant to fit between 2 walls or just up against one wall as in the photo? What do you mean by the alcove walls will be in MDF, are you building them your self as part of the unit ? Can you post a photo of the room the unit will be installed? I’m also not clear as to what you mean by “floating shelves”. “Floating usually means that they are fixed directly to the wall with no obvious support, whereas you shelves will be supported by the sides, can you make this point clearer ? If the sides are up against a wall the easiest way to build the unit is to screw them to the top and bottom, and Rafix wouldn’t be necessary. If the shelves are adjustable, the easiest way to fix them is shelf pegs, if they are fixed you can also screw them to the sides. If you make separate top and bottom and the top unit is fixed to the wall you don’t have to fix it to the bottom unit, it can just sit on it. I would still build the bottom units as 3 separate units with a separate worktop. I’m new to this (first time alcove designer!). This was an example spec a friend sent me – I assume the thick outer panels are decorative rather than 65mm boxes, what would be the usual practice? I am guessing it’s 22mm mdf walls and with a front 65mm wide panel as a facia? The alcove walls will all be MDF. I’d like the shelves to “float”, possbly rafix is the best option here? I am not sure on the best way to link the shelving unit to the cupboard – any recommendations? Whenever possible I would always advise creating several modules assembled in a project and the smaller each module the better. In your case you could make a lower and upper module, but you could also consider making 3 separate 820 wide lower cupboards, a 3 separate upper shelf units.These could be separated with filler modules 60 wide and topped with a worktop. The smaller units are easier to manage, manufacture and install. It can also use less materials when cutting smaller parts from big sheets. 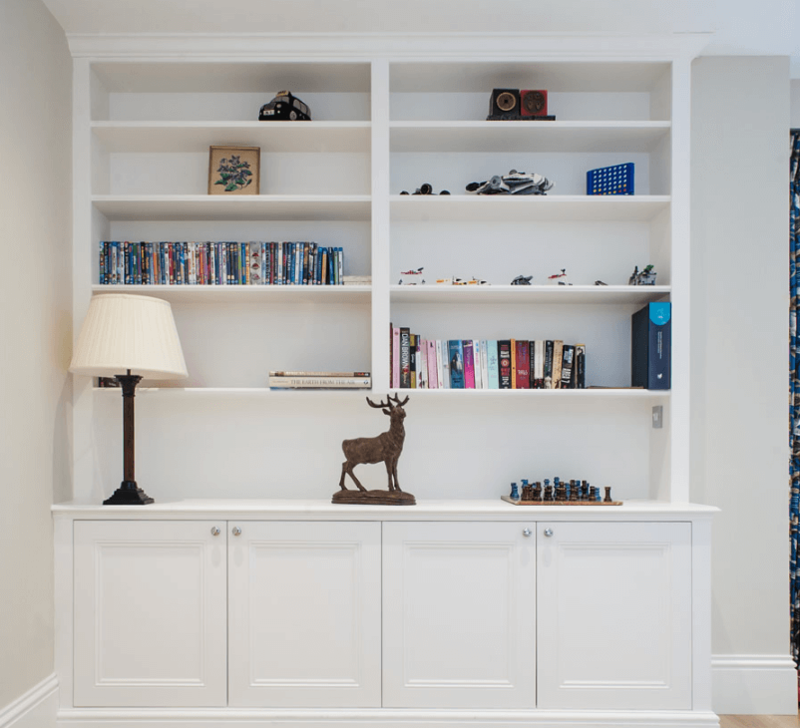 To know exactly the best way to build this project we’d have to know a bit more about the details, like what are the thick outer panels of the unit and what are alcove walls like and how are the shelves and cupboards going to link up with them. Do you have a photo of the design you like? I want to create an alcove unit, like below. What’s the best way to achieve this in polyboard? Is it to create one model, or is it better to create two models, one for the cupboard and one for the shelving unit above?